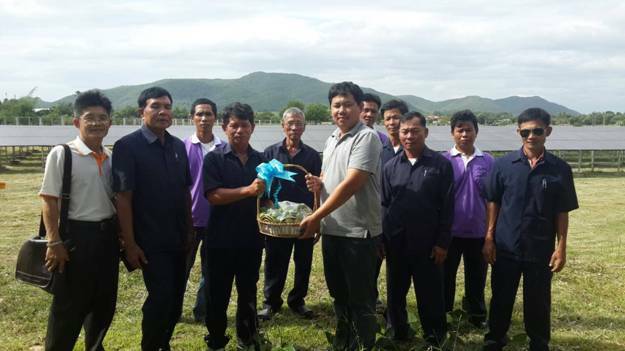 IEC Mae Tha Mae Taeng (the power plant project Lamphun 1 and 2), a supplier of solar power has greeted the members of office of Doi Tao Cooperatives, Chiang Mai led by Mr. Prayuth Khotchadech a manager of Doi Tao cooperative, visited the power plant on June 22, 2015. Mr. Mongkol Anantakhat, technical electrician, has given lecture to 12 members of the cooperative. The objective is to education and research for the production of electricity from the solar power plant.